Styled with millie dress . Menswear inspired and double breasted, the Elena is sure to keep things stylishly toasty and softly structured. With a faux suede interlining for protection against the elements and a bemberg liner that breathes and makes it easy to get in and out of. Love!! So warm. Great for chunky winter layers as the sleeves are wider. 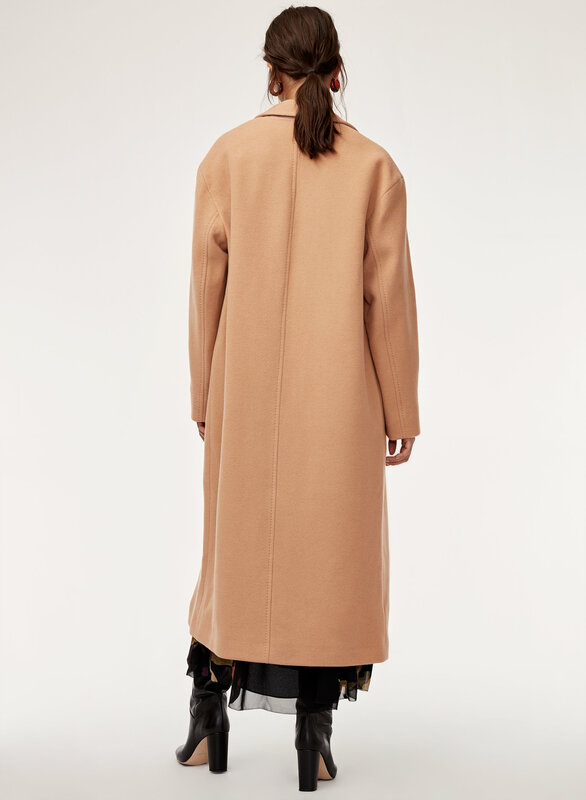 It is an oversized coat that made very well. The oversized cut is perfect, even on a short person like me. It's perfect for layering, perfectly warm and extremely luxurious. Exactly what I've been looking for for years. 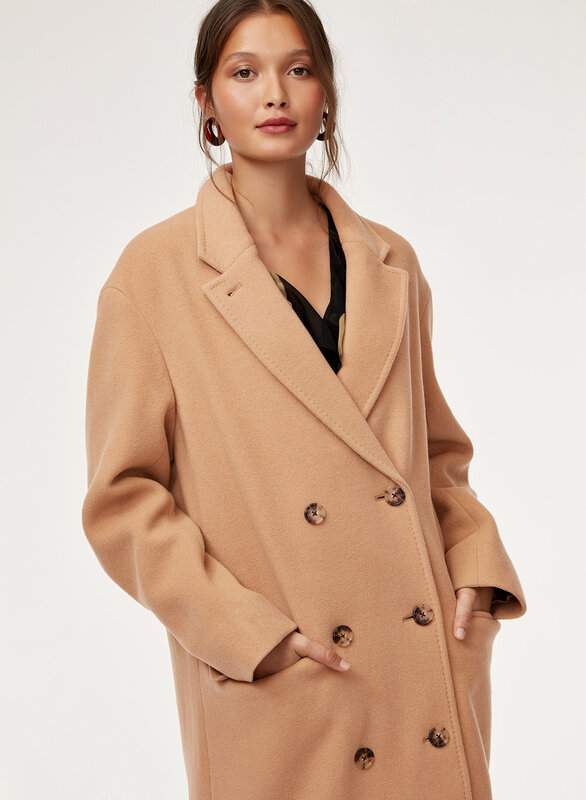 I love the Elena wool coat! 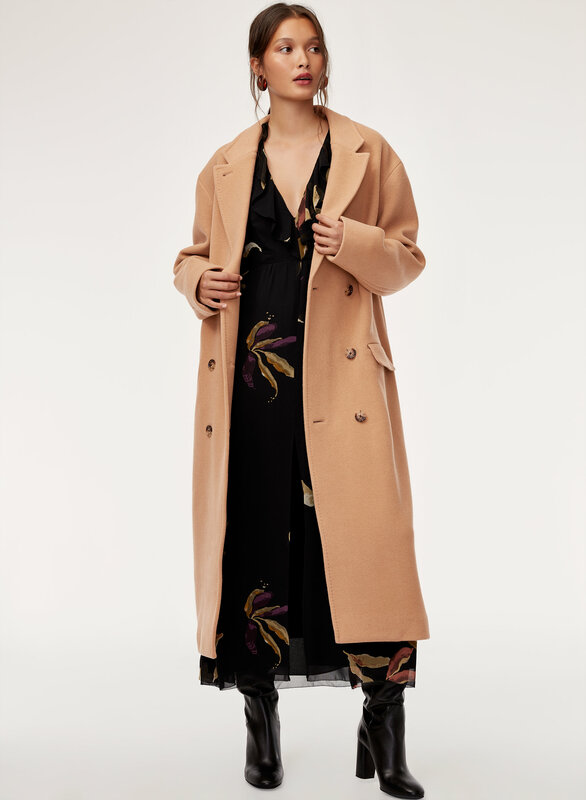 It's actually warm and I love the length and oversized style. I get so many compliments on it and the quality is amazing. Very happy with my purchase! It's warmer than I expected which is great. 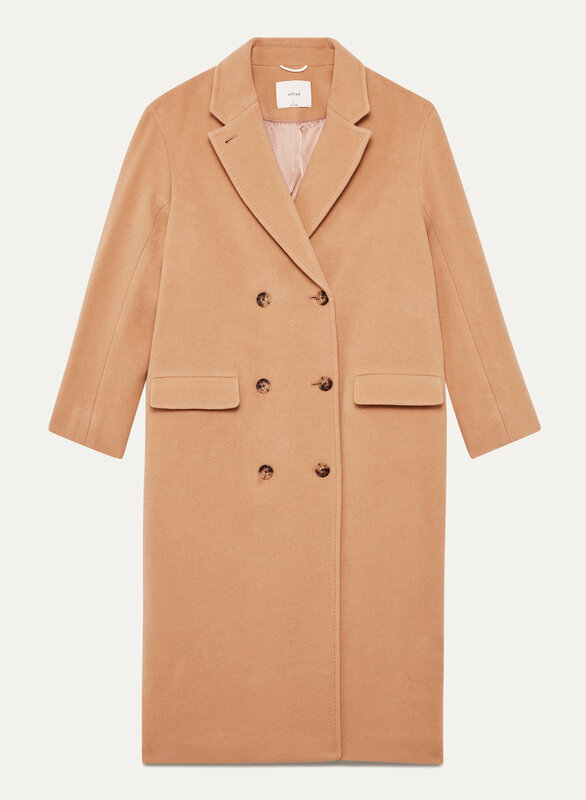 Perfect oversized coat!